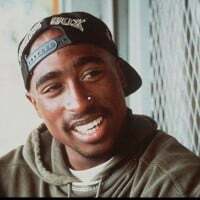 Tupac Amaru Shakur, also known as 2Pac, was an American rapper and actor born on June 16, 1971 in East Harlem, New York. Tupac sold over 75 million records worldwide and has been referred to in multiple major publications such as Rolling Stone as one of the greatest music artists of all time. 2Pac was assassinated on September 1996 at the age of 25. Although 2pac is dead, he's heavily rumored to still be alive .